South Suburban Reno homes for sale are part of some of the more diverse neighborhoods in Reno. From mid-century modern homes near South McCarran to horse property on rolling hills in south Reno, there are beautiful neighborhoods to fit a variety of lifestyles. Some South Suburban Reno neighborhoods include South Meadows, Huffaker Hills, Double Diamond, Curti Ranch, as well as luxury communities Montreux, Galena Forest and Damonte Ranch. Please contact us for more information about Reno South Suburban homes for sale. Easy freeway access, close proximity to restaurants, shopping and entertainment and stellar mountain views are only some of the benefits of living in South Suburban Reno. Many neighborhoods feature community parks, walking trails, close proximity to schools and entertainment. Summit Mall is located at South Virginia and Mt. Rose Highway and is home to high-end shopping, restaurants, a movie theater and a summertime farmers market. 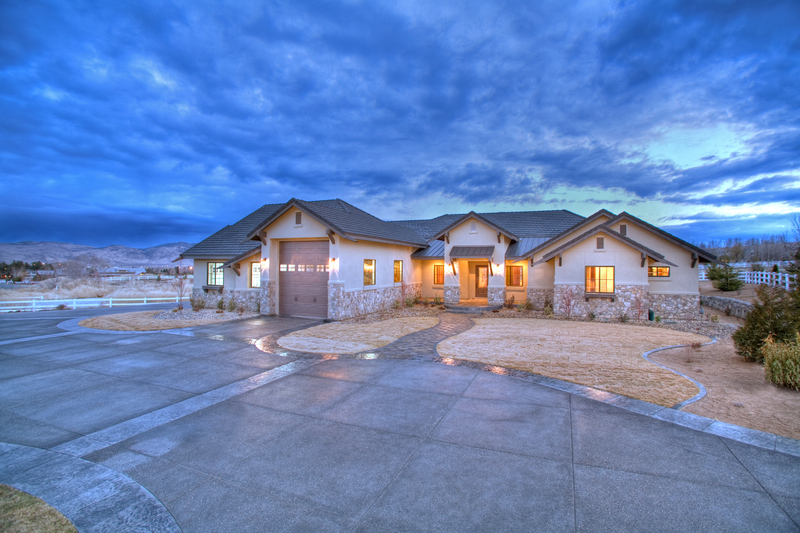 Montreux is a private, gated, golf-course community situated on 726 acres in south Reno. The luxury community features the only Jack Nicklaus Signature golf course, which is the home of the Reno Tahoe open, and the only course in Reno where the PGA plays. Montreux homes for sale have views of the fairway, forest and mountains. Montreux features custom lots, walking trails, a 34,000 square foot clubhouse, tennis courts, and a 5,000 square foot fitness center. Located at the base of Mt. Rose, Montreux is close to all Reno has to offer, including retail, restaurants, and the movie theater at Summit Mall. Damonte Ranch homes for sale belong to one of Reno's newer communities, nestled on 2000 acres in south Reno, with fantastic views. Buyers looking in Damonte Ranch can choose from homes built in various subdivisions or can choose to have a custom home built to their specifications. If you're interested in connecting with a builder in the Damonte Ranch area, we will be happy to send you some referrals. Outdoor enthusiasts appreciate the many recreation options available in this area. The many neighborhoods in Damonte Ranch feature numerous greenbelts, miles of hiking and bike trails, and community parks. For home buyers interested in new luxury communities, more remote mountain living or mid-century modern homes, there is a neighborhood in South Suburban Reno that will fit your lifestyle. To begin your search for Reno South Suburban real estate, connect with The Sallan Real Estate Team today. Wow! This Home Has Everything Today’s Discriminating Buyer Is Looking For. This 6br/6.5 Ba/5 Car Garage Sits On Over An Acre In A Gated Community. Enter Through 10’ Custom Doors And The First Thing You Will Notice Are The Unobstructed Golf Course... Keller Williams Group One Inc.